Pets, we all love them, and most of us have one in our home, but they can create messes that we wish they would not. However, we have to be prepared for these messes that they will undoubtedly make. 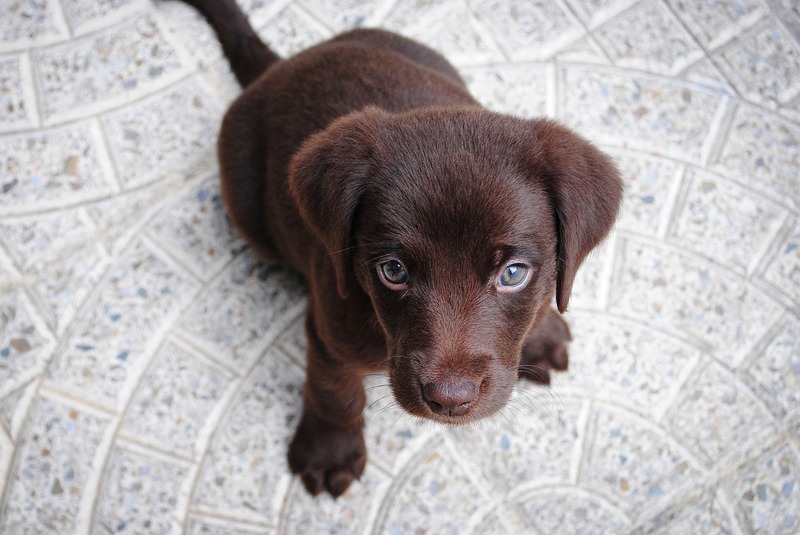 There is one type of flooring that has proven to be the easiest to clean up and withhold our pets. 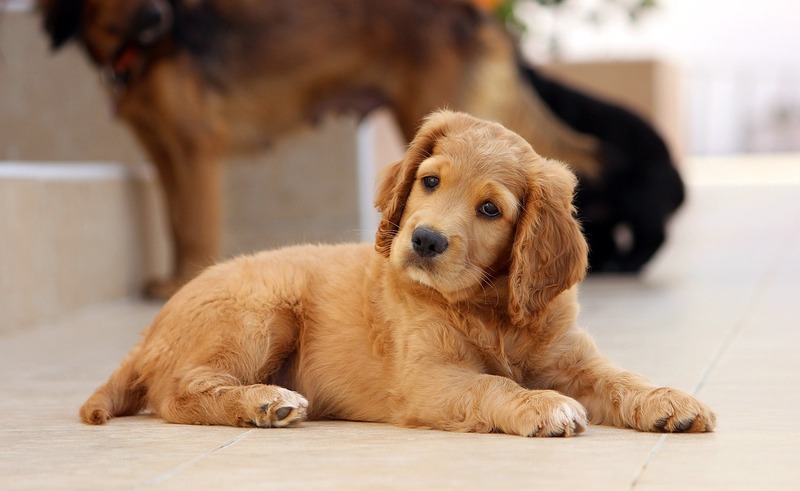 Tile flooring is water resistant, stain resistant, and durable for our pets. We all need for our lives at home to be made a little more relaxed and tile floor can aid in this. Our pets are continually tracking things from the outdoors that we wish they did not. Dust, dirt, allergens, water, and stains on their paws show up on our floors every day. 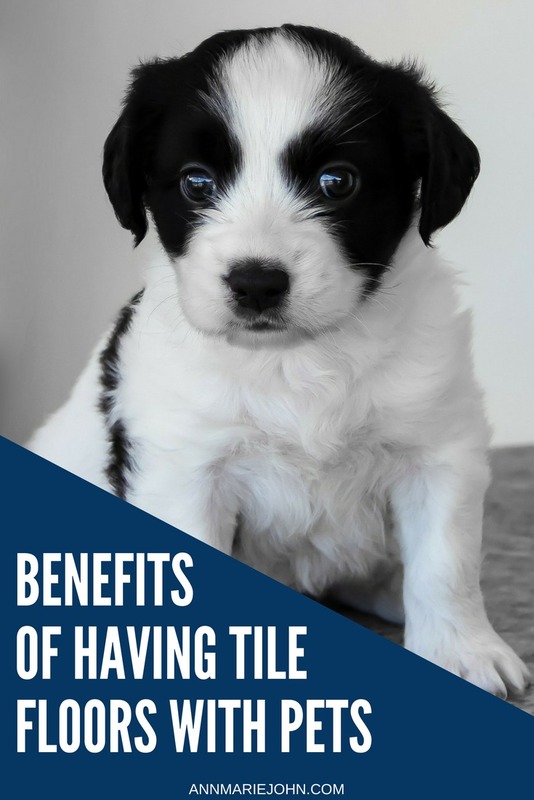 Tile flooring has proven to be the most natural surface to clean, so it’s a no-brainer that this is the floor you need with your furry friends. Ceramic flooring has a protective layer that rests over the material, making them water and stain resistant. The water resistance factor saves us from those pesky stains that make their way into carpeting and hardwood floors, with a much more in-depth cleaning process. Being able to Swiffer away the water and stains makes our lives with pets much more manageable. Ceramic floors are extremely tough, and the tiles are difficult to crack. A quality installation can last for ten to twenty years. Tile floors are able to withstand a lot of weight and wear on its surface. They are prepared to take on the many spills, plate drops, and crashes that occur from our pets. Dirt, stains, and liquids all rest on the surface of tiles, allowing you to quickly wipe or mop them away. Regular maintenance just consists of sweeping or vacuuming with a soft brush attachment to keep the floor free of dirt and loose debris. If a stain does occur, you can use most heavy duty cleaners without having to worry about damaging the material. Carpet and hardwood flooring requires deep cleaning and specialized products to keep its surface spot clean. Tile floors are easy to maintain and keep clean for whatever our pets bring in. Ceramic tiles have a hard, solid surface, that does not tend to attract dirt, dust, pollen, or other allergens. When these small debris particles do land on the floor, they stand out against the surface, making it easy to wipe them away with a Swiffer or sponge. This helps keep the air free of irritation materials which can be harmful to our immune system. 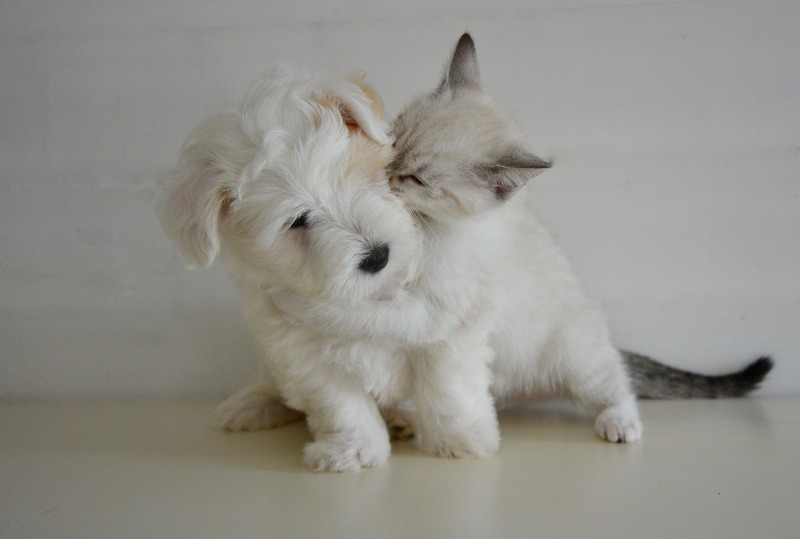 Our pets carry many allergens in their fur from the outdoors along with their dander, tending to cause allergy problems. Tile flooring will almost eliminate this problem in the home. So don’t get rid of your furry friends just yet, merely switch to tile flooring and ease the job of cleaning!